Nearly every child begins to walk at 12 to 14months with his or her feet flat on the ground. Nevertheless, there are some children who begin walking on their tip toes instead. This normally disappears within 3 to 6 months of learning how to walk. 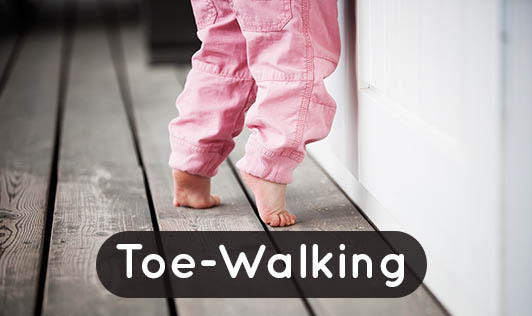 Tip-toe walking means your child is only using the balls of the feet, and the heel is not really coming in contact with the ground. Children often experiment with walking on their toes when they first learn to walk. Until the age of 2, toe walking isn't something to be worried about; often children who toe walk even after that do so out of habit. However, there are some signs that may not be normal when your child is tip - toeing. If you're child shows these signs, please get in touch with your doctor at the earliest!